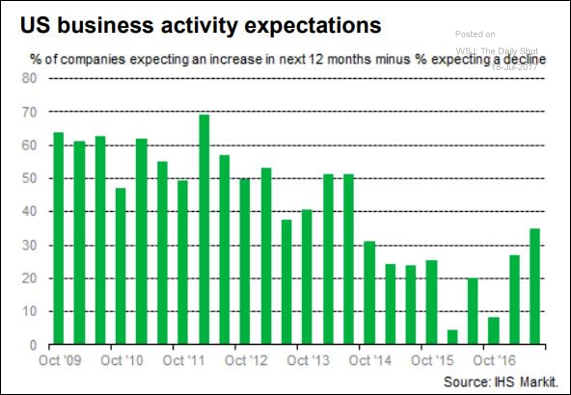 The United States: According to IHS Markit, US business optimism continues to improve. 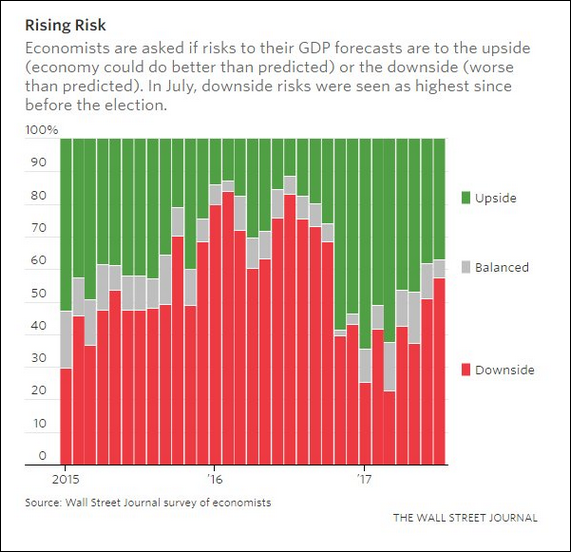 – Nonetheless, more economists now see downside risks to US growth. 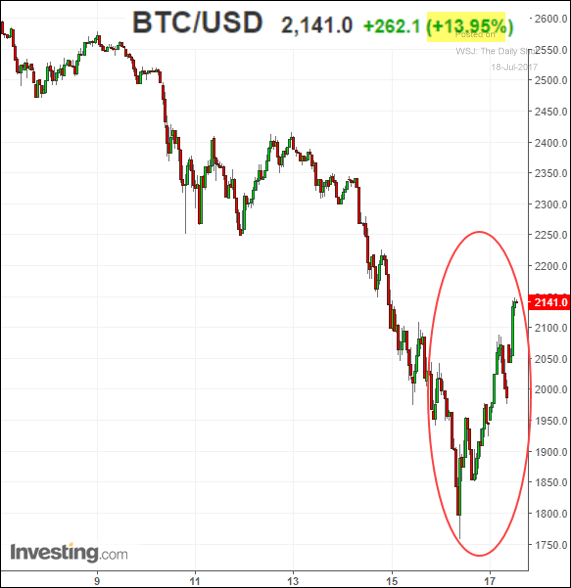 Bitcoin:The major cryptocurrencies seem to have stabilized for now. Here is Bitcoin. Equity Markets: US companies with higher exposure to China have outperformed. 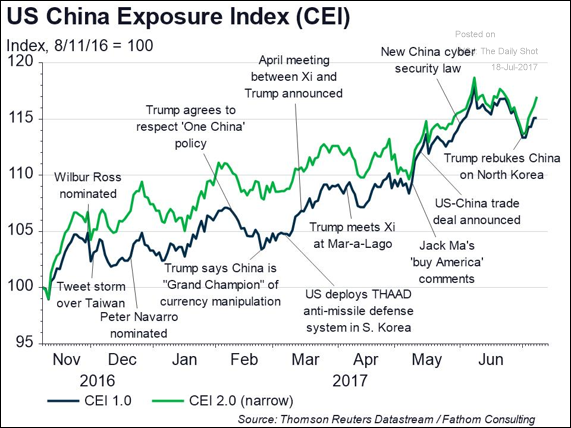 The market continues to ignore the risk of rising trade tensions with China. 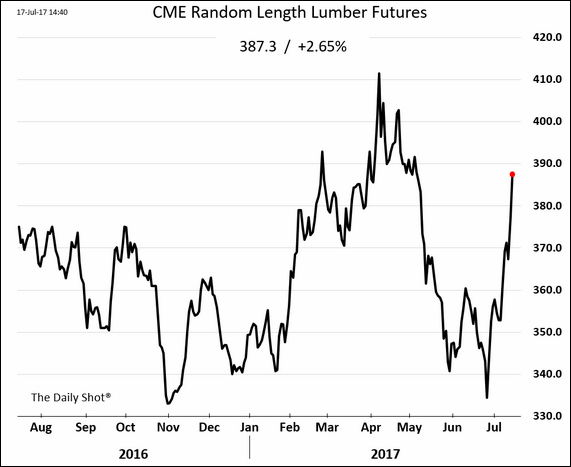 Commodities: Massive forest fires in western Canada sent lumber futures sharply higher. 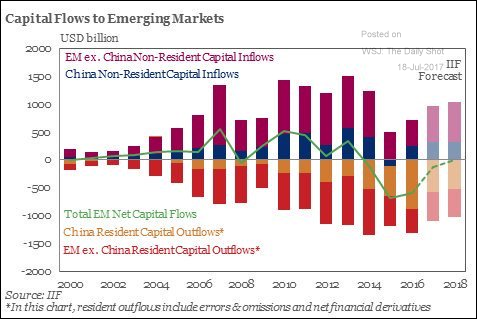 Emerging Markets: Here is a forecast for capital flows across emerging markets. 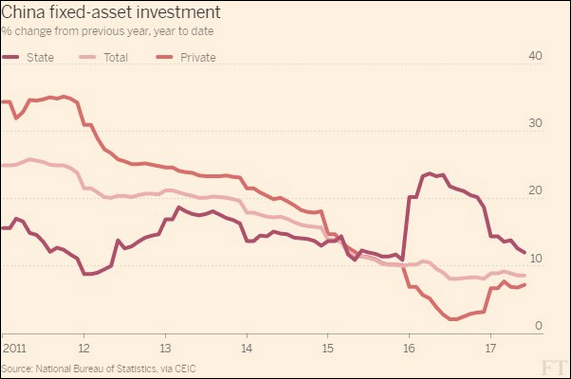 China: Government stimulus is slowing. Is the private sector picking up the slack? 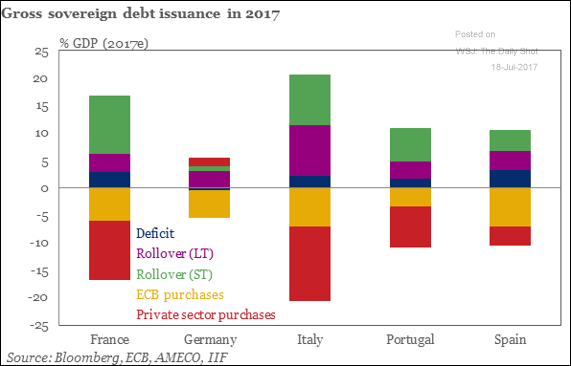 The Eurozone: This chart shows debt funding requirements and the buyers of bonds for the largest Eurozone economies. Global Developments: Which are the fastest growing economies in the world? 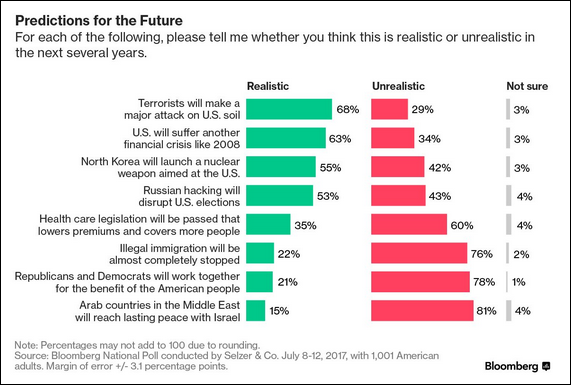 Food for Thought: Americans’ prediction for the future.